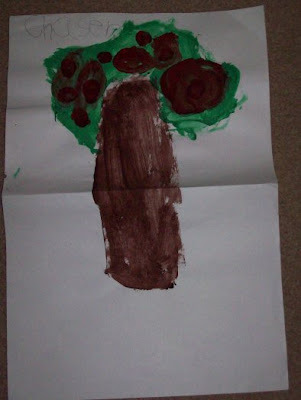 I was doing some cleaning today and found these cute apple activities from kindergarten class. Enjoy! Apple basket - This is a cute introduction to number sentences and color words. 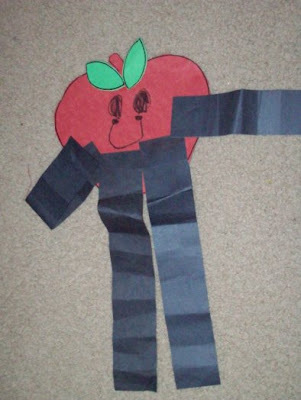 Apple people - This is simply an apple with black crinkled arms and legs. Torn Paper Apples - Tearing paper is good exercise for little fingers. Have students cover an apple you've drawn or copied. Encourage them to make a layered look. What kinds of fall activities have you enjoyed?